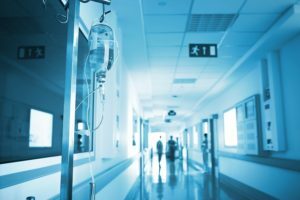 Below, our Washington injury attorneys explain what acts may constitute medical malpractice and describe the elements of a lawsuit. However, every case is different, so if you have a specific question about medical negligence, do not hesitate to ask the lawyers. Otherwise, consult our local listings to find an attorney near you. Are There Medical Malpractice Damage Caps in Washington? Many states limit the amount of compensation you can recover from a medical malpractice lawsuit. In most cases, damage caps apply only to certain types of damages. Economic damages include all compensation you receive for measurable expenses. This may be medical bills for past and future treatment, and lost wages. Usually, economic damages are not capped. In Washington, there are no damage caps on medical malpractice cases, for either economic or non-economic damages. In fact, in 1989 the Washington Supreme Court held damage caps to be unconstitutional, eradicating a 1988 law imposing caps on non-economic damages. The lack of damage caps places Washington on the plaintiff-friendly end of the medical malpractice spectrum.